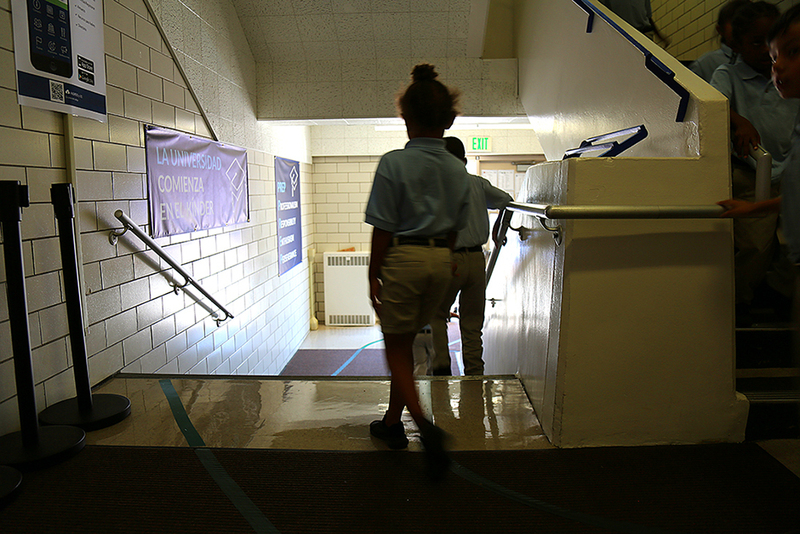 Students head outside for recess at University Prep – Steele Street in Denver, Colo. The 74 traveled the country to document the faces and stories of the individuals who are leading the charge to bring new models of education to students across some of the most diverse urban landscapes. 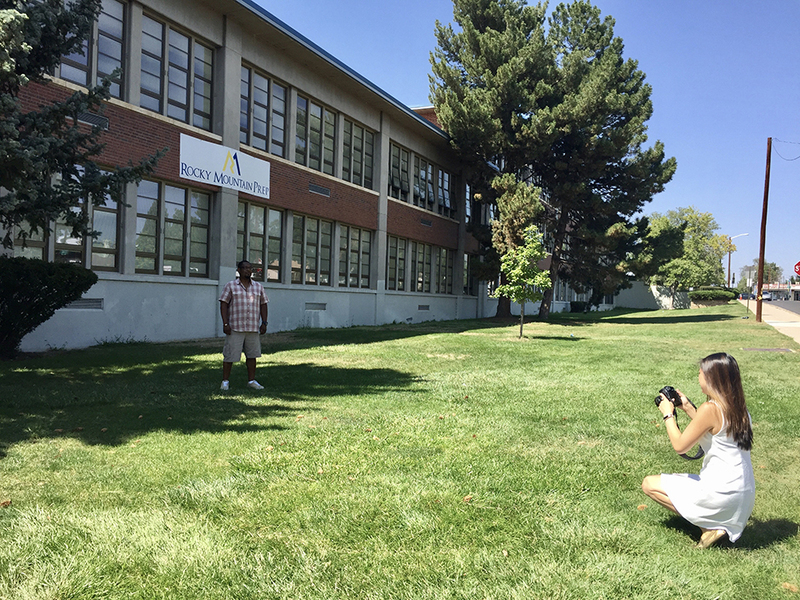 Here’s a behind-the-scenes look at the makings of this project as we got to know the changemakers reinventing America’s schools in Denver. The 74’s Emmeline Zhao photographs Cliffton L. Harris at Rocky Mountain Prep Southwest in Denver, Colo. Harris is the parent of 4th-grader Maddox and 2nd-grader Mason, students at Rocky Mountain Prep Creekside Elementary Charter School, and 7th-grader Makenzie of Hamilton Middle School. 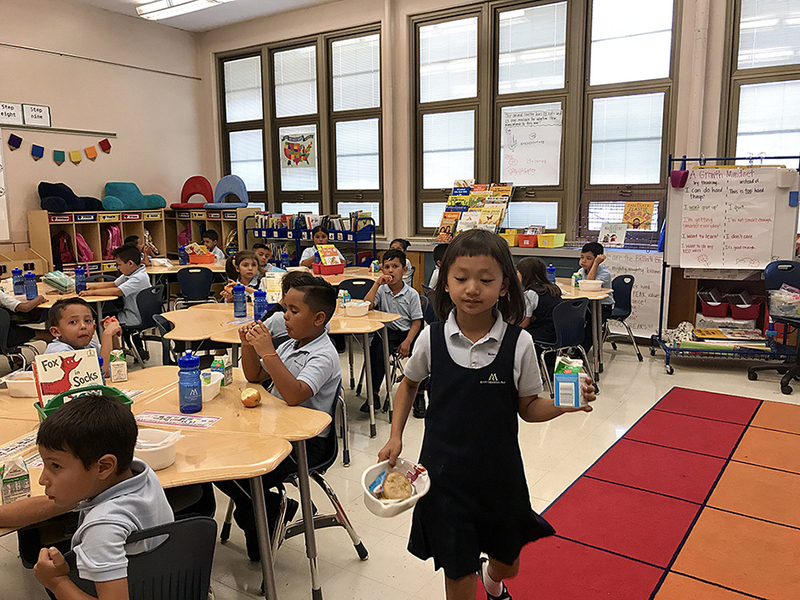 Students eat lunch at Rocky Mountain Prep Southwest in Denver, Colo. 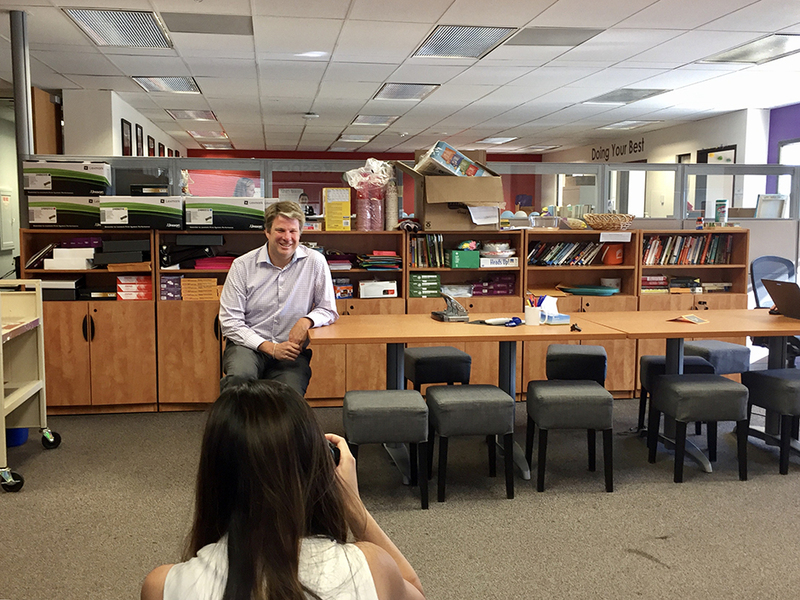 The 74’s Emmeline Zhao photographs DSST Public Schools CEO Bill Kurtz at the network’s offices in Denver, Colo. 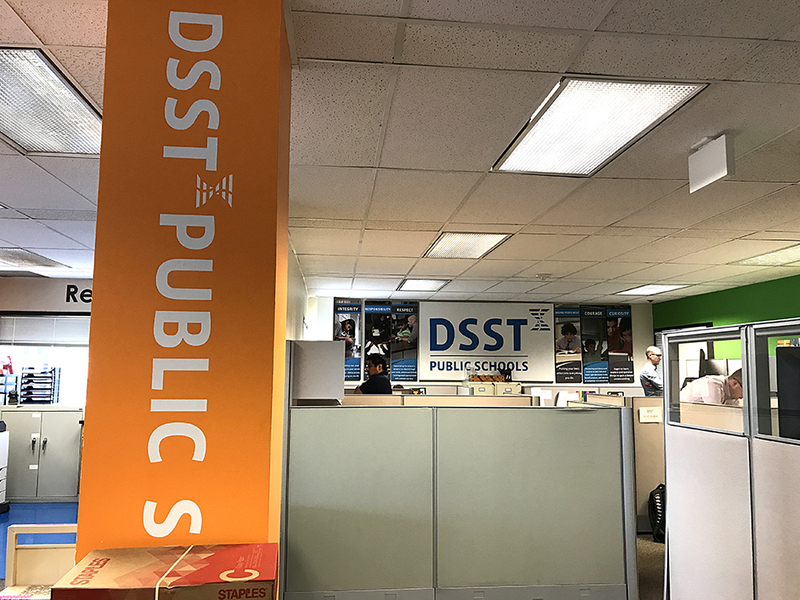 The DSST offices in Denver, Colo.